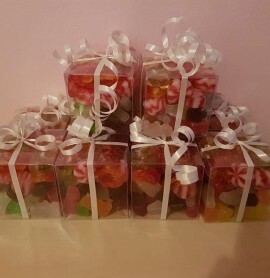 View basket “Sweet Cubes” has been added to your basket. 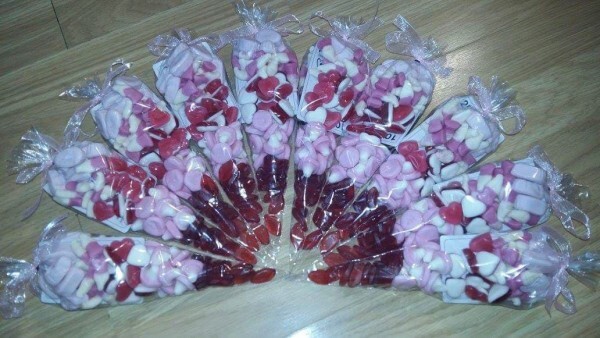 Sweet cones are made to your theme or if you prefer just a random mix. These are suitable for all ages and contain at least 3 varieties of sweets. They start at £2 each and if you wish you can add a personal touch with stickers. 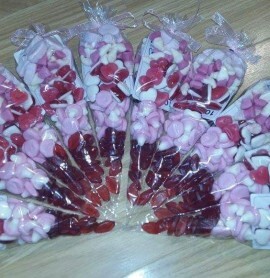 These are at an additional cost of £0.35 per cone. 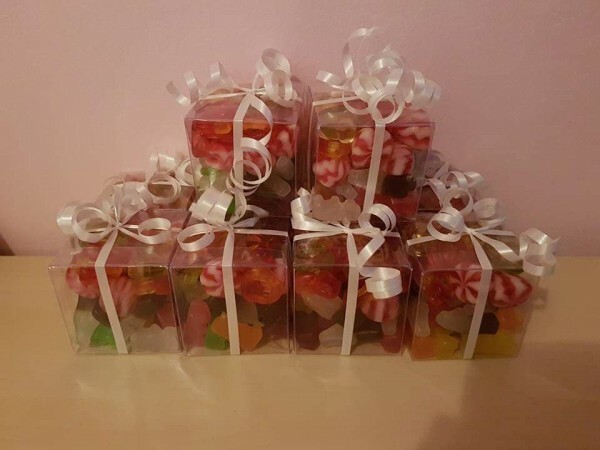 Sweet cubes, prices atart from just £1.50 and are filled with mixed sweets. We can make these more special by adding peraonalised stickers at an additional cost of £0.35 per cube. Please let us know what you would like via the comments section on your order.